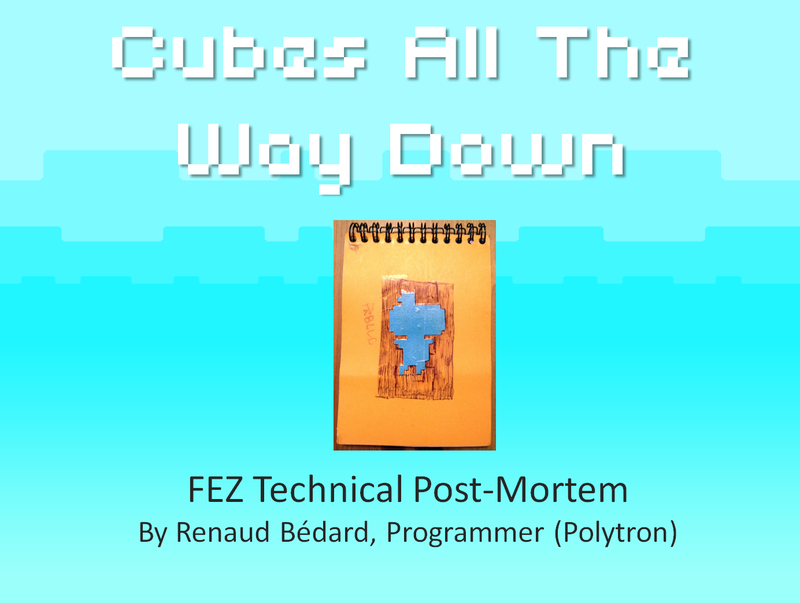 Back in November 2011, I gave a talk at the Montréal International Game Summit in the Technology track called “Cubes All The Way Down”, where I talked about how FEZ was built, what’s the big modules, the challenges and intricacies of making a tech-heavy indie game from scratch. 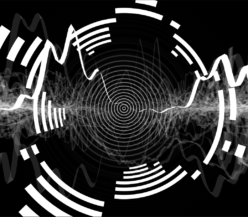 I was really stressed, a bit unprepared due to FEZ crunch time, and just generally uncomfortable speaking in front of an audience. I was asked about giving the slides out, so here they are! Unedited.